If you’re trying to incorporate more lean protein into your diet to curb your appetite, increase your muscle mass, and help you lose weight, this collection of healthy egg white recipes is a good start. Egg whites are high in protein and low in cholesterol, which make them the perfect healthy breakfast choice for weight loss. And if you are a coconut lover like me, recipe 7 is a great energy-boosting snack! 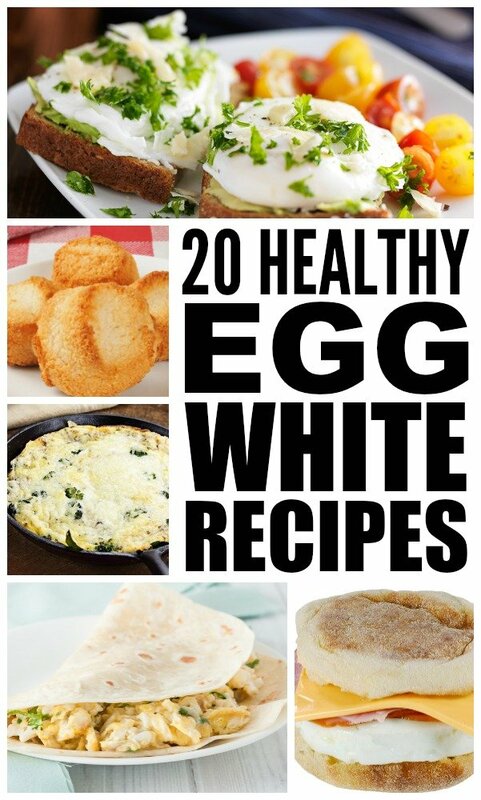 If you enjoyed these healthy egg white recipes, please share them on Pinterest! And if you’re looking for more healthy tips and tricks, please follow our Health and Fitness board where we share all kinds of fabulous ideas!